This article is about the character. For the guest star, see Serena Williams. Serena Williams is a professional tennis player and the sister of Venus Williams. Homer asks her and Venus to take Lisa's place in a charity tennis game before taking Venus. 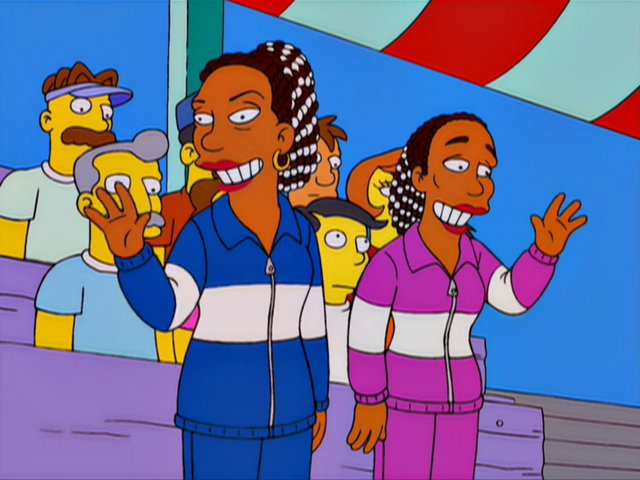 Later, when Marge complains, she gets Serena to play instead of Bart. She then asks Pete Sampras to take Marge's place. Modified on June 29, 2015, at 14:07.